Once you’ve built your house, added a few plugs, and put your personal stamp on your “galacto fabulous space crib,” it may be time to meet the neighbors. 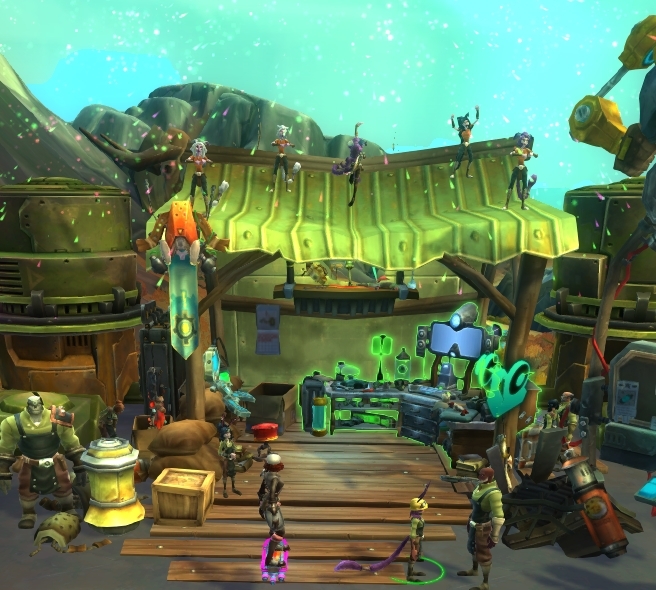 WildStar has built the housing system to be a very social aspect of the game. You can control just how social your home is though. If you are more of a solitary player, you can leave your house private. You’ll be the only one who can enter your housing plot. If you’re a social butterfly and want to be surrounded by other players, you can select to have a public house. This will allow anyone to come onto your housing plot any time from the public houses list. They can’t change any of your decor or farm your resources, but they can interact with the challenges and portals you have. If you prefer to keep the guest list controlled, you can invite friends to be your neighbors. You will easily be able to visit each others’ houses from the Neighbor menu. If you’re playing with a close friend or family member and want to share housing items and help each other with building, you can make the person your roommate. They will still have their own housing plot, but they’ll be able to change or add to yours also. I was happy to find that alts are automatically added as roommates on the neighbor list. 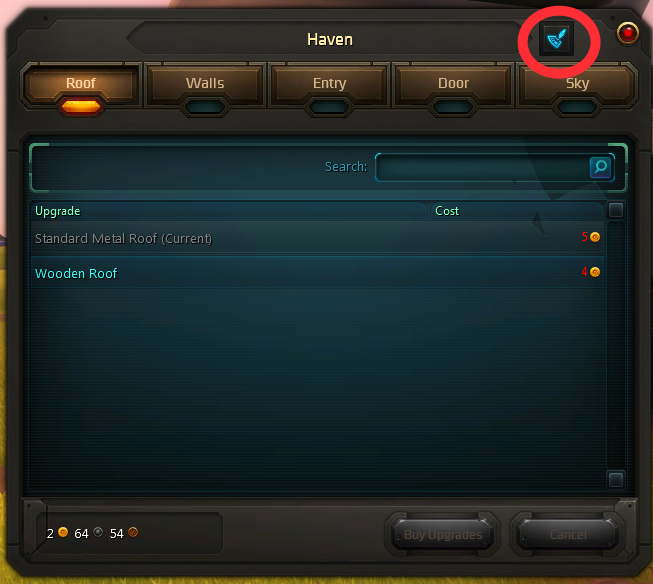 The settings to control other players’ access to your housing plot can be found on the remodel menu. There is a button in the upper-right of that screen that opens the Residence Settings menu. This button will get you to the Residence Settings. As you can see below, residence settings let you make your house public, private, or open to just neighbors or roommates. 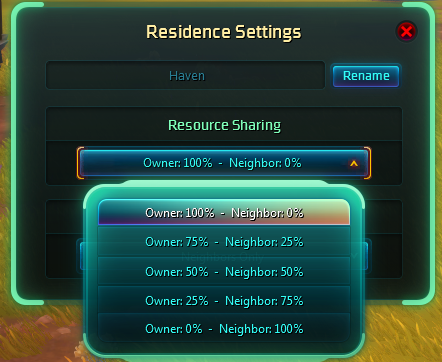 You can also change your house’s name here (for 100 renown) and control how your resources can be shared with neighbors. Since everyone has space for only six plugs on their island, coordinating with neighbors can be helpful. For example, if a guild plans it right, they could have different guild members who host each of the different challenge plugs and instances. When planning between your alts, you can decide who should have a crafting station, but it’s not necessary for more than one, since they are all roommates. The number of social options in the housing system is pretty impressive and allows for many different styles of gameplay. I can’t wait to start browsing through public houses to see the fantastic designs that others create! 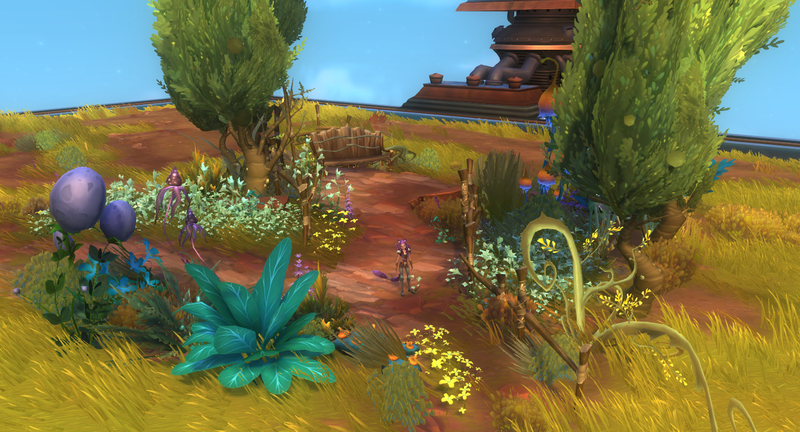 WildStar housing is not just a place to play with color swatches and move around furniture. You can farm materials for your tradeskill, duel a friend, teleport to a raid, practice your dps, complete challenges to win prizes, use your own private crafting station, get special buffs, contemplate the meaning of life beside your zen pond, and so much more. These tasks can all be accomplished by building on the six plots of your island that surround your house plot. The items that fill these areas are called plugs. Some of these plugs can be purchased with just a little gold, but most require a FABkit to activate. FABkits can be obtained from different activities throughout the world, from challenges to crafting. Once you have the FABkit in your inventory, you can activate the plug from the landscape menu. For example, one of the earliest FABkits I found during my Exile questing was ShardSpire Canyon. This kit is placed on one of the 1×2 plots, and it creates a fun jumping challenge. This challenge can be completed once every 30 minutes and rewards a house decor item or renown. The options for 1×2 plots include challenges, scenic areas, dueling arena, training grounds, and more. The 1×1 plot choices offer crafting plots, expeditions, challenges, a raid portal, and more. The crafting plots are a really great way to collect materials for your tradeskills. I had a mineral deposit tier for my miner and a thicket for my survivalist. The plots gave tier 1 materials and had a nice regeneration time. These plots need to be upgraded with the next tier level though, once your tradeskill levels up. Those iron nodes are ready to be mined! Remember that you can also create free-form designs of your own anywhere on your housing island. So if you want to create something that you can’t find in the list of plots, leave a plot open to build this. The layout of your housing plot is really only limited by your creativity and your gold. The flower garden plot is just for decoration. Have fun building your housing plot with the items that complement your gameplay and make your experience on Nexus the most enjoyable! 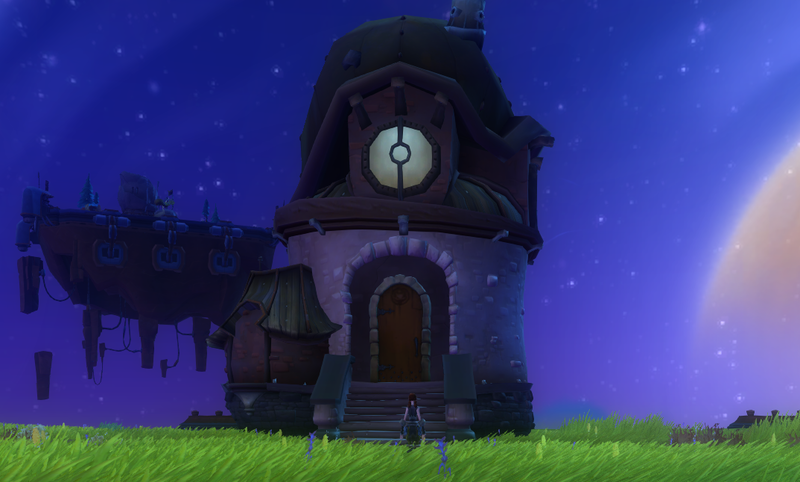 The main feature of your WildStar housing plot is, quite simply, your house. You can choose not to place a house on your lot if you enjoy the unfinished construction zone look, but I’m guessing that most people will opt to do a little house hunting. Just like in the ridiculously staged, real estate show, House Hunters, you have a choice between three starter homes. For Exiles, the choices are Cozy Aurin House, Cozy Exile Human House, or Cozy Granok House. Dominion have the options of Cozy Cassian House, Cozy Chua House, or Cozy Draken House. If you preordered WildStar, you will have a fourth choice – Shapeship. Each house costs 1 gold. It looks like you’ll have this starter home until you can upgrade to fancier digs at level 36. These are the cozy Exile Human, Granok, and Aurin houses. 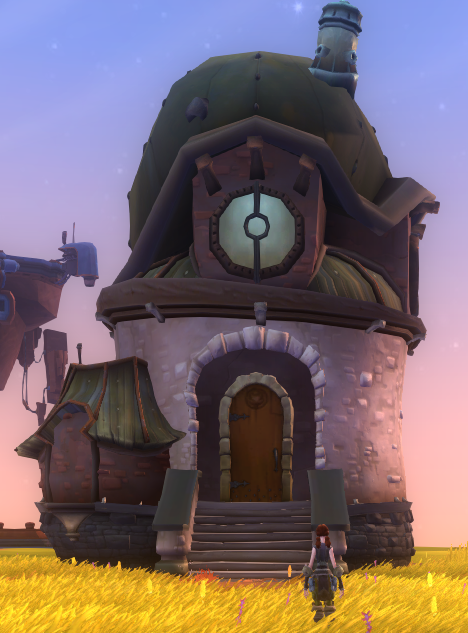 For Dominion house images, check out the official WildStar wikia. You might find that one of these houses immediately feels like the right choice for you, based on your character or personal art preferences. 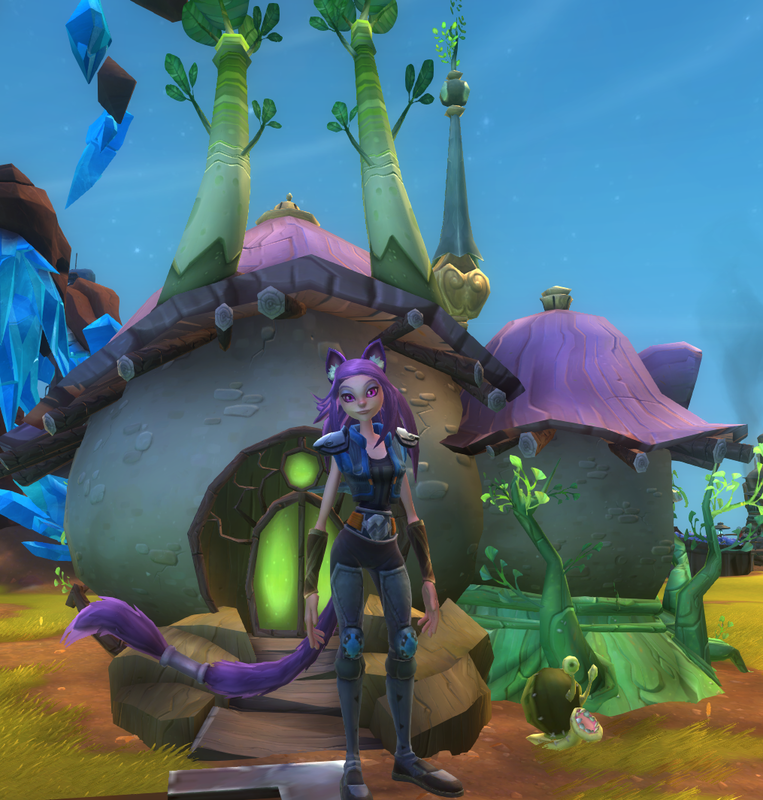 For me, I couldn’t see my purple-haired Aurin esper living anywhere other than the fairy-like Aurin cottage. Let’s step inside the Exile houses and compare their floor plans. The Aurin house has the largest initial layout because it has a separate little nook off the main room. 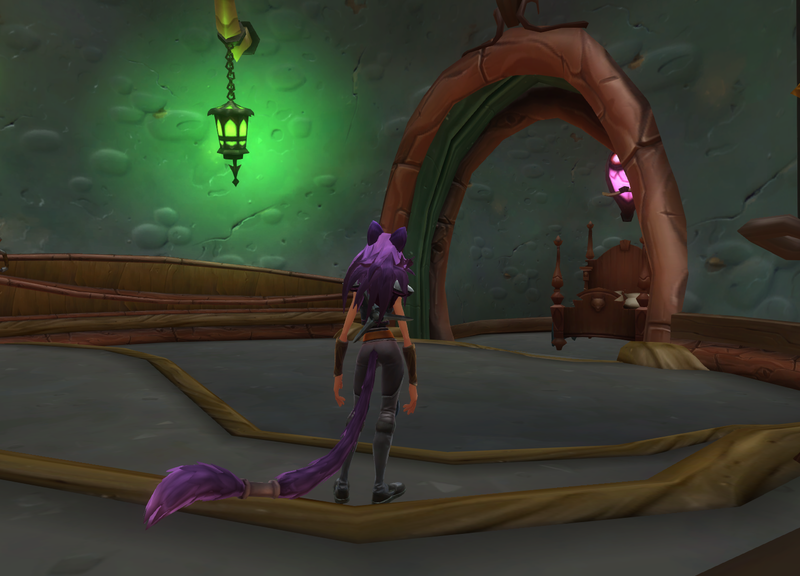 The Aurin house has a small separate room. The layout of the Human and Granok houses is pretty similar in that both are round rooms. But the Human house has extra square footage that might not be obvious at first glance. It is very tall, with plenty of space to place a staircase and add a second floor. Here’s the view from the staircase of my Exile house with a second floor. The Granok house has a lower ceiling, which probably rules out a second floor. I saw a nifty design in a Granok house that had a staircase and a small loft area though. 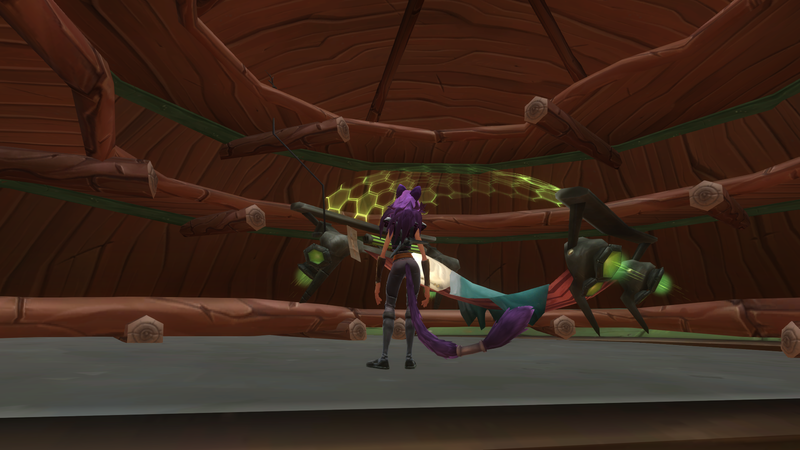 Also, after building the second floor of my Human house, I went back to my Aurin house to attempt it there. I found that it is possible, but it’s very challenging because of the wood details on the ceiling. 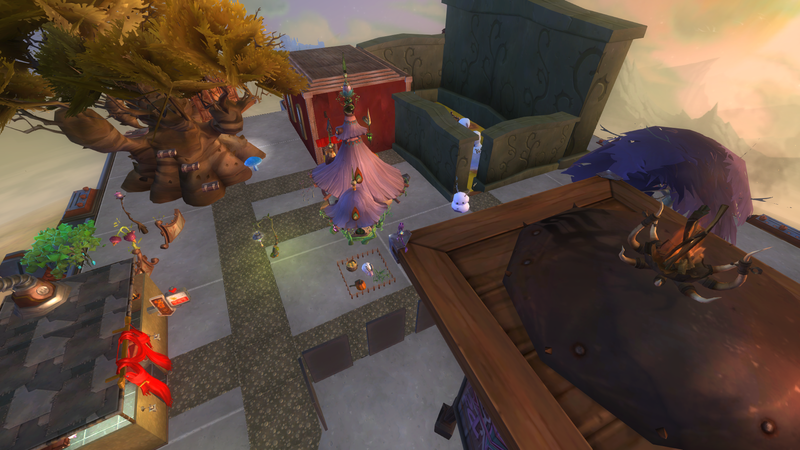 Standing on the second floor of my Aurin house. The best way to choose your favorite house is to go for a tour before you select one. 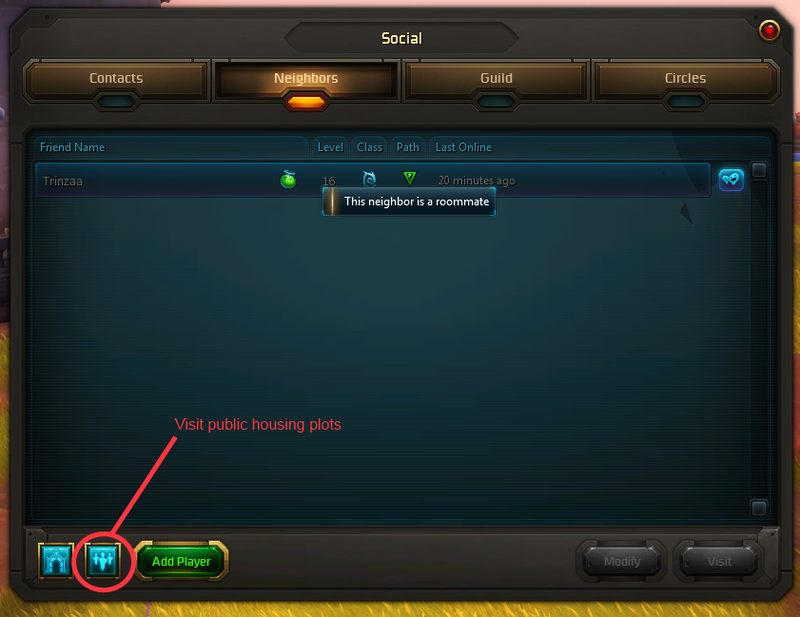 WildStar’s housing system has a social component to it that allows you to visit other users’ housing plots (if they have selected to make their plot public). The option is in the Social menu, on the Neighbors tab. Click this button to find a list of public housing plots to visit. Visit as many housing plots as you want to get a feel for each of the different houses before you buy yours. Everyone has a unique way of decorating and personalizing their house, so touring public houses is A LOT of fun! 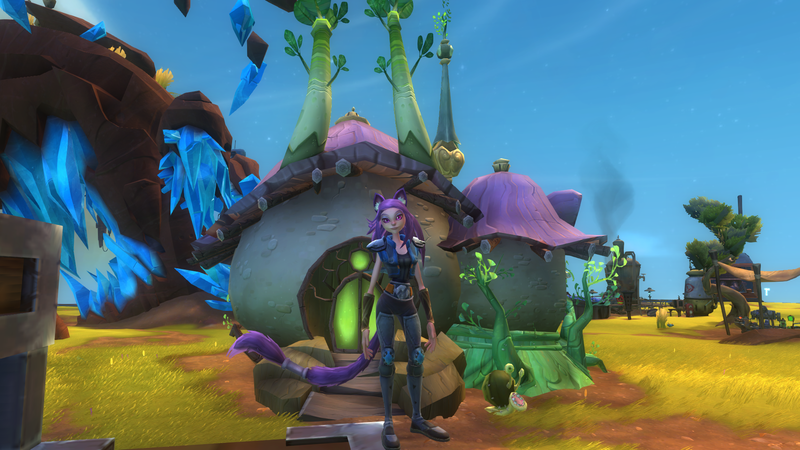 I hope this helps take a little of the guesswork out of selecting your first WildStar house! 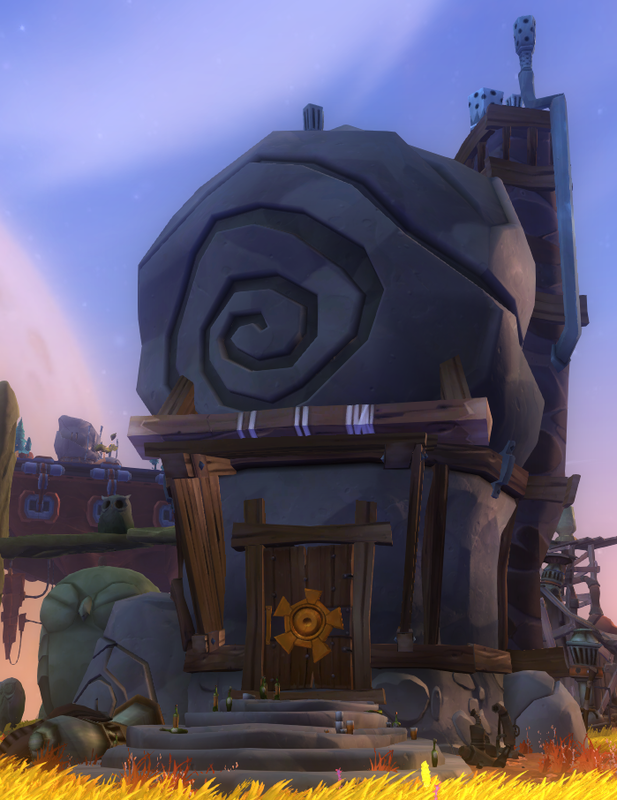 Welcome to my new blog about a little game called WildStar. If you haven’t heard about this game yet, I suggest that you check it out at wildstar-online.com. It is outerspace meets the old West in a humorous and engaging new MMO that launches on June 3. With this blog, I’m going to create a series of guides to help you navigate through your early days on Nexus. The one thing that convinced me to play WildStar was its amazing housing system. I heard so much about it that I had to try it out for myself, and it truly lived up to the hype. Of course, I’m enjoying many other aspects of the game too, but the housing is what sets it apart from other MMOs, in my opinion. This guide is intended for those new to WildStar who want the answer to the burning question: How do I get my house? As soon as you hit level 14, hustle your bustle to the nearest taxi station (usually found in the main quest hubs). Take the taxi to your faction’s capital city, Thayd for Exile or Illium for Dominion. Once you reach the capital, you should automatically get a quest on your holocommunicator to find the ProtoStar housing representative. 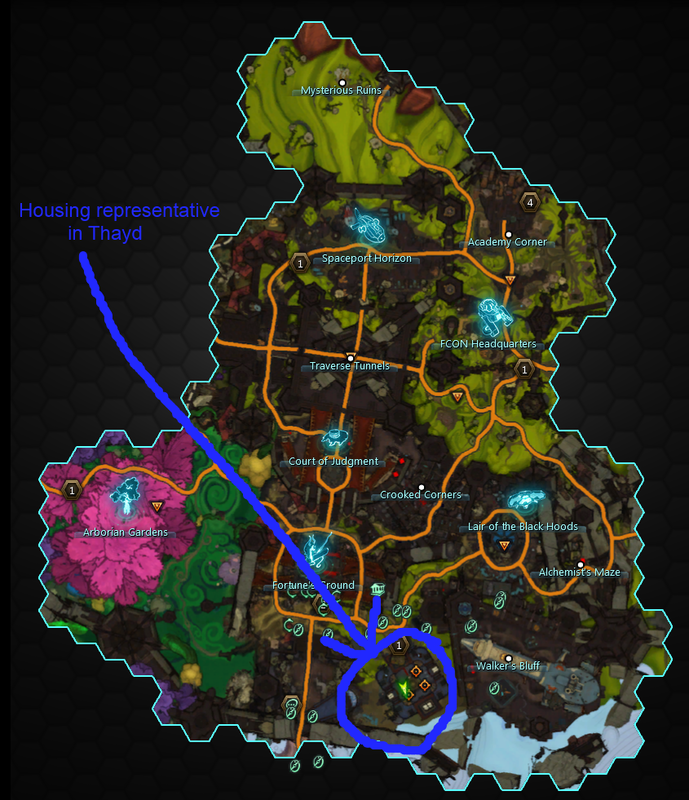 Here is the location of the housing rep in Thayd. Choose your furniture set and teleport to your floating island in the sky. I found it quite amazing that this entire area was all mine at such a low level in an MMO! Here is the view that you’ll see when you zone in. Nothing that a little elbow grease can’t fix! So it’s a bit of fixer upper, but you can completely transform it in just a few minutes for just a few gold. When you arrive at your housing plot, you’ll have a new action bar on your screen to use for editing. The first button on this menu is Landscape (Ctrl F1). This will let you place your house and many other awesome features (that I’ll discuss in more detail later this week). You’ll see a number of boxes, or plots, to choose from. The center plot is for your house. 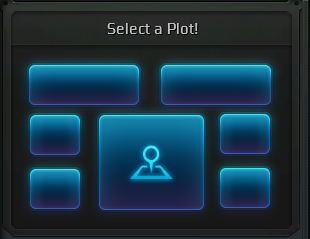 When you select that plot, you can choose one of three starter homes (four if you preordered WildStar and have access to the spaceship house). Choose your favorite house (more on the differences in starter houses later this week), pay your 1 gold, and watch it come to shape! In just a few seconds, you have created your new home in WildStar. If you right-click the housing box in your inventory, your new furniture will move to your crate. The crate can be accessed from the third button on the housing toolbar (Ctrl F3). From here, you can place your new furniture in your house, or even outside of your house if you prefer. This is my human spellslinger with her brand new cozy Exile house. Other than being extremely fun to customize and design, housing also provides a bonus to your rested XP. You can gain five buffs from your housing plot that all contribute to the XP bonus: comfort, lighting, aroma, ambience, and pride. For this reason, it makes sense to get that housing plot ready as soon as you can. 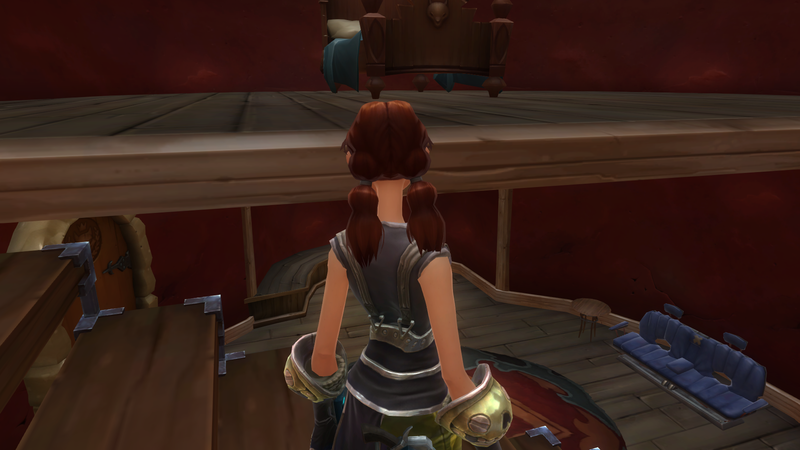 You’ll have a nice place to hang your hat and rest your weary bones after a day of questing on Nexus, with an added XP bonus for your next day of work.